Please join us as we launch our 40th Anniversary at the 2018 Pumps & Pearls Gala and Fundraiser. 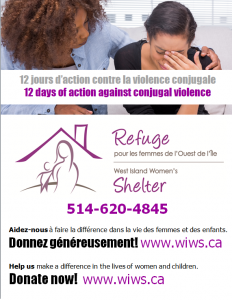 The West Island Women’s Shelter is a non-profit organization established over 39 years ago offering support to women and children who have been victimized by conjugal violence. We are requesting your assistance in our effort to continue to offer these much-needed services in our community. The proceeds from your attendance at our Gala will help us in our ongoing efforts in promoting our mission of “Working towards a social change to eliminate conjugal violence and its impact on women and their children”. 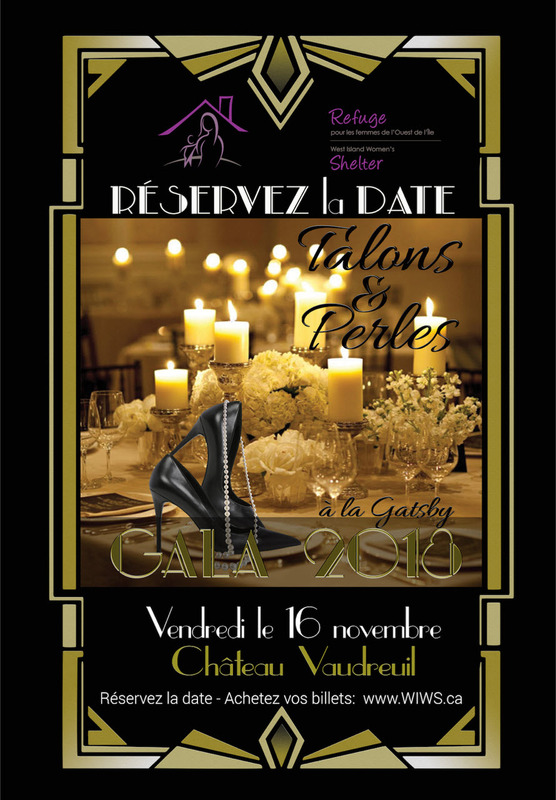 The event will take place on Friday, November 16th 2018 at the Pavilion Château Vaudreuil. 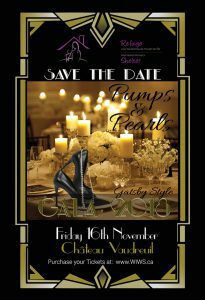 Please join us for an evening of fun, reminiscent of the Roaring 20’s – The Great Gatsby way! 1920’s dress attire suggested (but not required). Cocktails will be served at 6:00 pm, followed by a dinner at 7:30 pm and an evening of dancing. Entertainment and other pleasant surprises for our guests throughout the evening will create a truly memorable occasion. Reserve your tickets now as seating is limited! We encourage you to contact Beverly Duffy-Zimmermann at 514.833.1294 or by email at wiws.shelter@gmail.com. 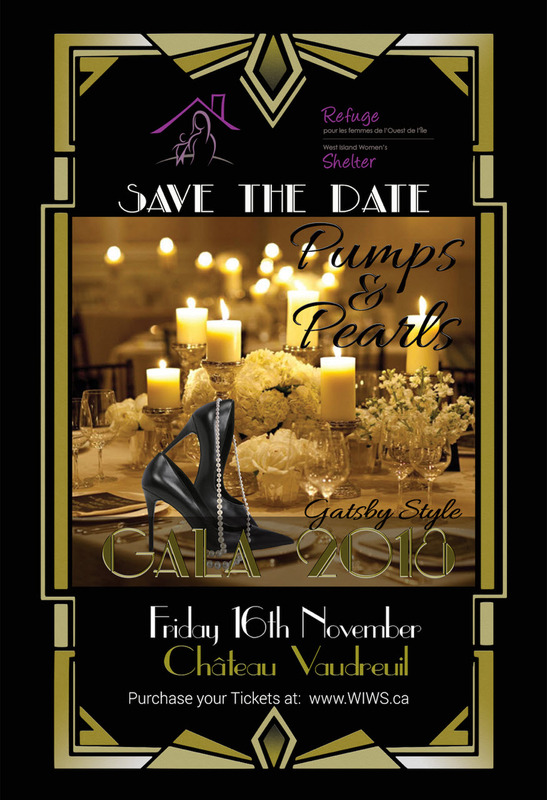 Should you not be able to participate in our evening you can still assist us in our fundraising by contributing as a Sponsor of the Pumps & Pearls 2018 Gala. Please consult the attached Sponsorship Program and Visibility Package for more information. Being a sponsor for this event is an excellent way to add your support for the protection of victimized women and children in our community. The success of this event relies on the generosity of people like you. Your support is essential so that together we can fight to eliminate conjugal violence. We know that you care as much as we do. Your commitment and support is crucial for the continuance of the programs and services offered by the WEST ISLAND WOMEN’S SHELTER. From the Board of Directors, employees, volunteers and most importantly, all of the women and children who will benefit from your kindness and generosity…. A very big THANK YOU! A Wonderful Event For An Important Cause !